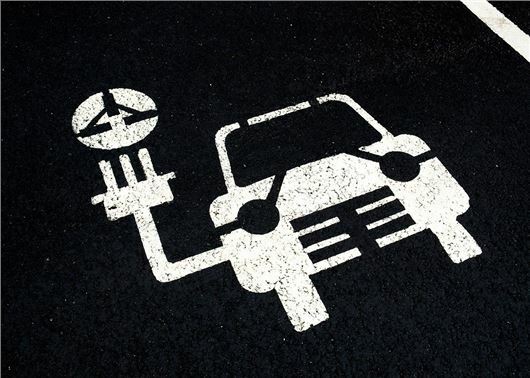 HonestJohn.co.uk is calling on the government to scrap Insurance Premium Tax (IPT) for electric vehicles after it emerged that some EVs cost as much as 60 per cent more than their petrol-powered equivalents to insure. IPT currently adds 12 per cent to every premium in the UK. The move comes after the latest industry figures for the first six months of 2018 show that pure electric car registrations are down by more than three per cent compared to the first half of 2017. Data from the Society of Motor Manufacturers and Traders (SMMT) show that there were more than 1.2 million petrol and diesel cars registered between January and June 2018, yet just 7441 electric cars left showrooms over the same six months, raising a serious question: What needs to be done to increase EV demand with UK buyers? High list prices, range anxiety and limited access to charging points have all been routinely blamed but the issue of highly charged insurance premiums has been quietly ignored. Analysis of the insurance market revealed that pure electric cars carry a hefty premium when it comes to comprehensive cover, with some models up to 60 per cent more expensive to insure than their petrol or diesel counterparts. To make matters worse, it is young professionals - the target buyers for most EVs - being hardest hit, with some insurers demanding more than £1800 for 12 months’ cover. After receiving complaints from readers about the unaffordable cost of insurance for electric cars, HonestJohn.co.uk analysed the market to see what a typical driver can expect to pay for comprehensive 12 month policy. “While on the one hand electric vehicles tend to be smaller and less powerful, they also need specialist parts and skills to repair"
A look into the numbers at GoCompare for a professional in their 30s and the costs for insurance drop, but the price disparity grows. For example, a 35-year-old accountant living in a city with five years’ no claims can expect to pay £247 when it comes to insuring a 2015 Renault Clio petrol. A similar fully comprehensive quote for the same firm’s electric Zoe is £395 – 60 per cent higher than the Clio, despite the fact that both are similar priced and equipped. Based on GoCompare average quotes on a 2015 car and a 35-year old accountant, living in Bristol, with five year’s NCB. Quotes obtained July 2018. It's about time the government took the insurance industry to task. They hold all the cards, and make dealing with them as stressful as possible in order to try and squeeze people who attempt to make perfectly valid claims, then try to claw back outlay by rocketing premiums and excesses. So more subsidies for a flawed platform to try and make it work.... You fail to ask why they are more expensive, perhaps nothing to do with 'evil' insurance companies and far more to do with the cost of repairing these vehicles? In addition the language here is deliberately devisive e.g. "a whopping £1854"... I think if I'd been quoted the £1500 for a diesel I'd think that was pretty steep! I have always struggled to see why electric vehicles cost more than petrol, they are much cheaper to make, we are paying an awful lot for R and D while the manufacturers seem in no hurry to mass produce electric cars to spread the development costs and bring the prices down. They are milking governments for maximum subsidies. The reason premiums are high is repairers don't know the best way to carry out electric car repairs yet as mechanics haven't repaired very many and given enough feedback to suppliers and manufacturers, they will come down eventually. The problem seems to be the lack of repair facilities for electric vehicles among the dealerships in the UK. Electric cars are scrapped for very minor damage as there simply aren't enough repair facilities according to our business insurance broker. in repairing Tesla, that the parts supply situation is very poor and very expensive. It would seem that a lot of the damage is frontal, suggesting that the drivers underestimate the very rapid acceleration of these cars and don't apply the brakes in time to stop before rear-ending the vehicle in front. These cars can outdrag many 'supercars' hence the cost of insurance is on a par with Ferrari and Porsche etc. Give EV car owners any more perks from the tax payer and we may as well just give them free cars with free service, repairs, insurance, MOT and electricity and they will still want more. It is the better off that can afford these cars so why should the lower paid in society subsidise them. A bit more for insuring an EV is nothing compared to the enormous rate of depreciation. I also agree that the taxpayer should not be subsidising buyers of EVs at all. I've been a big fan of Honest John .for many years agreeing with 90+ % of advice give. This article not only do I disagree but it actually makes me quite angry. EV are fatally flawed .it doesn't matter how much the government incentivise with tax breaks and subsidies. Anyone who is prepared to do the slightest amount of research will realise they are a financial disaster.culminating In residue value which is beyond appalling. All the tax breaks and subsidies will be taken away .they are sweeteners. The Insurance companies. Very basically underwrite premiums based on.purchase price.power to weight ratio and availability and cost of spare parts.so if EV are expensive to insure .the reasons are there.lobbying for even more tax breaks.won't change the fact .EV have a long way to go before they are remotely practical. Remove all tax subsidies for EVs. The poor should not be subsidising the rich. I drive a Vauxhall Ampera which is a plug in hybrid. Just over 80% of my mileage (about 1,000 miles per month) is on electric. On a purely financial basis I bought the car used and paid about £6,000 more than an equivalent petrol car. I will save about £1,200 a year in running costs , I expect to keep the car for 5 years so by then will be approximately cash breakeven, but would hope to gain from a slightly higher resale value. In terms of driving I would not want to go back to a petrol car, it is silent (even with the petrol engine running it is very quiet), acceleration is smooth and I only need to go the petrol station very 2 or 3 months. But there is a hidden cost with petrol and diesel vehicles, pollution. The problem with vehicles is the pollution is produced at street level, next to people walking on the pavement. It is estimated that 40,000 premature deaths are caused each year by vehicle pollution. This is why the government are subsidising electric cars: it is a public health initiative. Initially the subsidies are needed but as volumes increases, new entrants come on to the market, and technology improves hopefully electric cars will compete without the need for subsidies. I expect my next car to be fully electric, range is now improving, recharge points are currently ad hoc but this should improve over the next few years. My insurance was slightly higher than my previous petrol car but the Ampera is quicker, newer and worth more so the increase was in line with what I would have expected. vehicles went electric the supply system could not cope. It is incorrect that most electricity in the UK is produced from coal. In the UK 9% of electricity was produced from coal in 2016. This percentage is falling. However 42% is produced from natural gas which still contributes to carbon emissions. The Carbon emissions for producing an electric car are higher than those for a petrol/diesel car due to the carbon cost of the batteries (Petrol car 5.6 tonne, electric car 8.8 tonne). However electric cars are more efficient so even if all the electricity is produced from burning oil over the average life of the car the electric car will produce 20% less carbon, this improves with mixed power production. A lot of charging is undertaken at night when there is surplus electricity which otherwise goes to waste (you cannot just turn off a nuclear . However the real issue with petrol/diesel is pollution, as stated above, the pollution is produced at street level and is concentrated in towns and cities where there are lots of people. It is estimated that vehicle pollution causes 40,000 premature deaths per annum in the UK. In terms of recyling old batteries from electric cars can initially re used as batteries for back up storage (they still have about 80% capacity and can be used as back up storage for about 10 years: back storage volume not such an issue) and subsequently recycled. In terms of the rich/poor argument, Tesla is a premium car but there are plenty of petrol cars which cost many times the price of a Tesla and plenty of electric cars from mainstream manufacturers. Electirc cars are currently more expensive than the equivalent petrol/diesal car. But you can buy used. Currently electric cars have have not been around long enough to have cars old enough for a budget purchase but each year there will be more older electric cars on the market. Electric cars have fewer moving parts, (no clutch, gearbox, electric motor much simpler than a petrol/diesal engine), so should be more econmic to run as older cars. The batteries are expected to out last the car. The figures don't show a higher insurance cost for EVs because you have to compare cars with similar performance to make a valid comparison. For example the insurance cost figures in the table above for the E-Golf compared to the Golf GTI are similar - for two high performance cars, whereas the Renault Zoe compared to the Renault Clio are very different insurance costs because the Zoe's acceleration is so much better. Pluginsure.co.uk offer decent priced EV insurance for me - was cheaper than the insurance for my diesel.l when I bought my leaf.